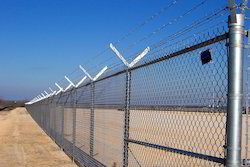 Our product range includes a wide range of concertina wire coil, prefabricated fencing angles, chain link fencing and barbed wire. Leveraging upon our ultra-modern manufacturing facility, we have been able to offer our clients with a superior quality range of Concertina Wire Coil. In order to design and manufacture this wire coil, our vendors’ professionals utilize excellent quality raw material and sophisticated technology. Tested against enormous parameters of quality, we offer this barbed wire at very affordable price to our prestigious clients within the promised time span. We are a remarkable entity, engaged in offering our clients with a high quality range of Prefabricated Fencing Angles. These fencing angles are manufactured in compliance with market quality norms and policies using premium grade raw material and cutting-edge technology. Our offered fencing angles are checked on diverse quality parameters to ensure their excellent finish. We provide these fencing angles at very reasonable price to the clients. Owing to our immense domain expertise and knowledge, we are able to offer our clients with an excellent quality range of Chain Link Fencing. In compliance with market quality standards, the link fencing provided by us is manufactured using supreme quality raw material with the help of pioneering machines by our vendors’ team of experts. Our clients can avail this link fencing from us in a various lengths as per their exact requirements. 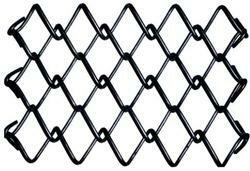 In tunes with latest market development, we are offering a comprehensive range of Barbed Wire. The barbed wire provided by us is manufactured in tandem with market quality standards using the best quality raw materials and latest technology. This barbed wire is made available in various customized options as per the diverse necessities of our renowned patrons. 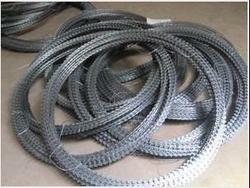 This barbed wire is widely demanded in farm houses and is offered at market leading price.